Men at their best from 55 PMA Long Course are very social people. They go a long way to meet each other and relive their memories spread over more than three decades. I am proud to be from 55 and try to find a chance to meet my course mates whenever I can. This time I had a chance to meet Tariq Fazal at Hamsafar on the G T Road. 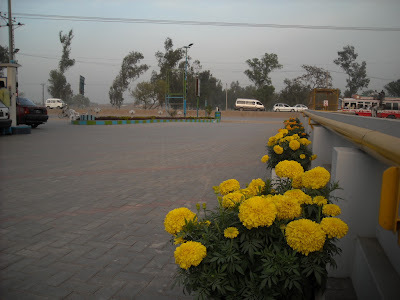 Hamsafar (very aptly named) is a very well laid out CNG station and now it has become a meeting point for anyone commuting the most travelled road in Pakistan. 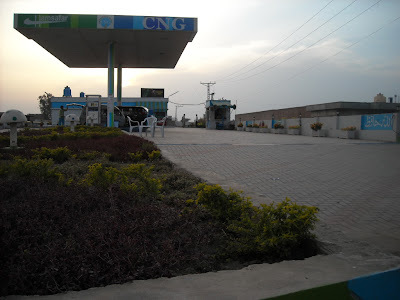 Unlike any other CNG station, Tariq Fazal has set up Hamsafar with a taste – neat, very functional and users’ friendly facility. One feels like having a break at this station. The direction are: leave Lahore, Cross Ravi and then the Railways Phati. Facing Rawalpindi, it is on your left precisely 2.5 KM from Railways Phatic. After filling the tank of my motor car and getting the tyre pressure checked, I had a much needed break in his office. 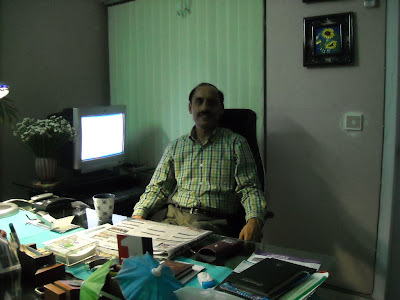 The office too is neatly laid in style and one can feel its style in everything. Having tea on a frosty morning and gup shup with an old buddy was good enough a reason not to move but I had a long journey ahead to my village Mong so had to leave. What else, Thanks Tariq Fazal for setting up Hamsafar where you have. Meet you during my next journey. Comradeship is the hall mark of social life. THE TANK FILL WAS FREE???????????? ?YOU NEVER MENTIONED THAT.